We opened our @xmentas Twitter account late last May. Thanks to your kind words and daily diligence from Julia (who manages the account), we have grown steadily. So much has happened so quickly. When we started, the movie “X-MEN: Apocalypse” was just opening; now “Logan” is assaulting the world. 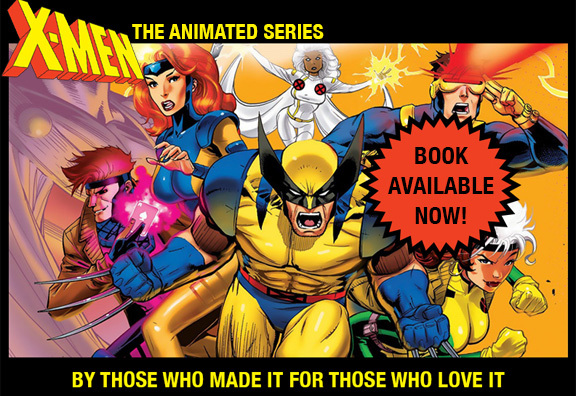 The X-MEN:TAS book was half-done, and now it’s with the publisher, getting polished up for a hoped-for summer release. We have had a great first-Con experience, thanks to Mike Towry and his partners, at Comic Fest, with producer/director Larry Houston and three series writers on panels. We hope to appear at a Con or two each month for at least a year once the book is published. But today we simply want to celebrate our growing Twitter community by marking another “1000” milestone. The X-MEN:TAS art below is courtesy of stroyboard artist Keith Tucker, an old friend, whose work appears in around 20 of the X-MEN:TAS boards. Congrats! I just wanted to let you know that I have nominated your blog for a WordPress award called The Blue Sky Tag. Check it out at http://www.writteningeek.wordpress.com. Gotta share the love!